The Great British Entrepreneur awards are for entrepreneurs working in the service industry who offer a unique service or perhaps delivers an established service in an innovative and creative way. Either way, the winner of this category will be a pioneer, showing how they have achieved commercial and critical success through high and sustained customer satisfaction. At AutoAlert, we believe we are a pioneer bring our unique job management solution to industries which previously faced manual paper based processes, lots of duplication and no visibility over the status of jobs. Following is our response to the judges questions and how we believe we can help millions of companies with remote workers really improve their own business. Living in London, it was often difficult to find a parking space near my home. At the time i had a nice car but one day i came down in the morning to find a note on my windscreen saying “if you don’t turn the *$!£$&? alarm off, I’ll put a brick through the window” Obviously an alarm is not much good if all it does is upset the neighbours. So when my brother came up with a way to link his car alarm to his mobile phone and ring you when the alarm was activated i thought this was an excellent idea. That was the originally idea, as we could track the phone we could also offer a more simple and cost-effective alternative to Tracker. However, the market was effectively closed due to the Thatcham regulations set up by the insurance companies. We were also getting interest from tradesmen who liked to be able to track their colleagues when they were out on jobs so we moved into fleet management. We continued to grow and develop and a couple of years ago one of our clients said they would also like to track their jobs as well as their vehicles – hence the latest iteration of the product. I gave up a lucrative career in the city and invested a lot of time and money into the project. Risks include getting off the career ladder, the potential negative impact on friends and family and the worry of where the money is going to come from to pay the mortgage. What is it that sets you and your business apart from your rivals? Job scheduling used to be the preserve of large companies using complex systems. With the advent of smartphones, more simple phone based job management application are now available. This is leading to new markets with smaller companies. Job scheduling used to be the preserve of large companies using complex systems. With the advent of smartphones, more simple phone based job management application started appearing, opening up the technology to smaller companies. AutoAlert is different due to the connected nature of our system. Other applications work well for individual companies but fall down when companies get jobs from their customers, or when they use subcontractors. Large companies with many subcontractors can also not view the status of their jobs without chasing individual contractors. 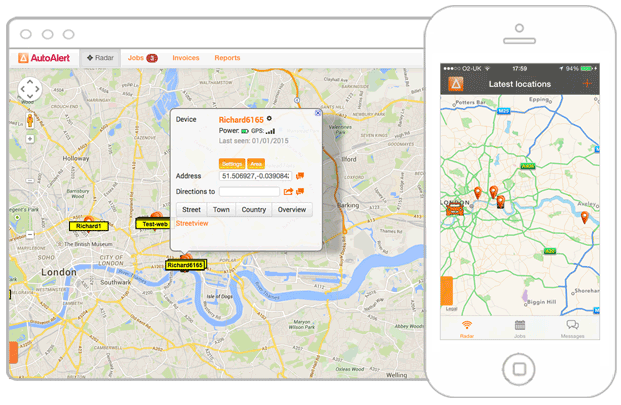 With AutoAlert, companies can connect to their own customers and subcontractors. Everyone knows the status of their jobs as they’re updated. There’s no chasing people and information is readily available meaning queries can be escalated immediately rather than weeks later when information may have been forgotten. You can also raise your invoice when the job is complete and see whether your customer has viewed and paid your invoice in real-time. This creates massive value for our customers and value for us as our customers are incentivised to invite their own customers and subcontractors onto the platform. We can do much more without commensurate increases in resources. Give details of your products or services and what makes them different? AutoAlert’s mission: eradicate paper based job sheets. Millions of jobs sheets are created each day to give job details to remote workers such as electricians and plumbers and to get information back about the work they’ve done on each job. The current process is labour intensive, involves lots of duplication, especially as more subcontractors are involved in the job and is opaque with no one knowing what is happening with each job until the job sheet is returned – often weeks later. There are other electronic job management solutions, but only AutoAlert offers a “social network for blue-collar workers” allowing companies to connect to each other, send and receive jobs, then check and share the status of their jobs as they’re updated in the field by the engineer on their mobile phone. Invoices can be raised through the application and are immediately available to your customer. You can see whether they’ve viewed and paid the invoice meaning no more delayed invoices or invoices lost in the post. AutoAlert provides clarity over what is happening as it happens, this leads to less anxiety, less chasing of people and more time for other tasks such as growing your own business. Please give any other information about your entrepreneurship which you think would help convince the judges that you should win the award. Its my ambition to create a billion dollar company. Not for the fact of creating something worth a billion but for the aim of creating something special. Something that few people have done and something that can create a big and lasting impact in Britain, Europe and beyond. My desire is to be special, and that feeds thought into everyone we do at AutoAlert. It is why we spend so much time listening to our customers, it’s why we spend so much time trying to learn from best in class companies and it’s why we’re continually striving to improve everything we do. If AutoAlert is special, if we create tools which are powerful, yet simple and easy to use, then we can also help our customers to be special. If we can make their life’s easier, if we provide the tools so they can offer excellent customer service and if we can help free up their time to improve what they do, then we believe they can also stand out from the crowd, and together we can all grow. Graham Warby – “it allows me to expand my business knowing i only have to deal with the exceptions whilst the rest of the jobs take care of themselves”. Peter Gilbert – “it means we can provide our customers with the details they’re looking for when they ring, rather than having to ring our drivers and then get back to them”. Millions of jobs sheets are created each day providing job details to remote workers such as electricians and to get information back about the work done on each job. AutoAlert’s aim is to eradicate these paper job sheets and replace them with our connected web and mobile phone based platform. Find out more about AutoAlert’s unique Job Management Software. If you’re anything like me, you’re always looking for a way to make your business more efficient. I speak with small and medium business owners on a daily basis, and I find it’s something even the best companies can improve on. Efficiency, however, is a broad term that could mean a lot of things. But what it really boils down to is one question: how can my company make the biggest profit in the smallest amount of time? 1. Figure out how much money you’re throwing away. Then find a way to reduce it. How often do you lose money because of simple mistakes, like making a delivery to the wrong address? 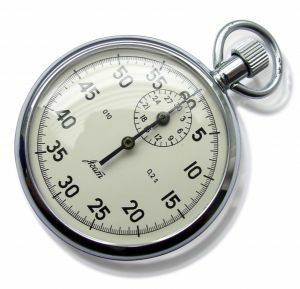 How often are you penalised for arriving late? How often do your employees get lost? Even if you accept a certain amount of waste as being inevitable, the fact is that these things add up over the year, potentially taking a large chunk out of your profits. In a nutshell, time is money – or the potential for money. The more time you waste on inefficient activities, the less free time you have to spend doing productive activities that will help your business grow. Michael Gerber, in his world-famous book ‘The E-myth revisited – Why most small businesses fail and what to do about it’, stresses that one of the reasons businesses fail is that the owners spend too much time on day-to-day tasks. So if you are a small business owner, it’s vitally important to spend enough time steering your ship in the right direction. One of the most common ways our clients improve their time efficiency is by using AutoAlert’s job management features. Because AutoAlert gives you automatic notifications whenever a job is added by a customer, or whenever the job status is updated by an employee, you spend less time chasing jobs up. In addition, you’ll spend less time filling out and duplicating job sheets, as all data is managed and sent to staff electronically. AutoAlert even generates invoices for you, saving yet more time. This one is particularly important if your employees are out in the field. If you can’t assign jobs to staff and relay information to them easily, they will miss out on opportunities to finish jobs quickly. This could result in you taking on fewer jobs overall, meaning you’ll make less profit. This is another reason that a mobile-based job system like AutoAlert is so useful. As soon as a job is entered into your system by you or a customer, it can then be assigned to an employee, who receives an instant notification on their mobile device. Additionally, you can simply communicate via AutoAlert’s messaging system. It’s a lot easier than trying to get busy workers on the phone. Have you ever been working for a company and thought “our company could save so much money if our managers only asked us for input”? The fact is, a lot of companies just never think of asking low-level employees for help. Your employees do the same job every single day, so there’s a chance they know their corner of the business better than you do. Why not ask them if they have any ideas on how you could save money or improve your service? One of the best ways to retain your regular orders is through giving good customer service. If you don’t, it could cost you – a 2013 study showed that UK businesses lose £12billion a year through poor customer service. While we don’t want to overdo the self-promotion, this is another area where AutoAlert can help. Because your employees can update job statuses from their mobiles, it means that when customers call for updates, you’ll always have up-to-date information for them. AutoAlert also warns you if a job hasn’t been picked up or is running late, so you can correct the problem sooner. Find out more about how AutoAlert’s job management software can help your business.